For many preppers, the idea of a SHTF scenario means grabbing your bag and heading out to a secret location out in the woods. You’ve decided that urban survival among the masses is not an option. As a prepper, you have your gear at the ready with water filtration, pack, fire starting gear, a knife – the works. But do you really have what it takes to endure long-term survival in the wilderness? For most of us, this question puts us at odds of what we claim to know and what we actually know. Few have experienced the wilderness without camper trailers, coolers full of food, and a hot shower around the corner. This week on The Next Generation Show, we speak with retired SERE (Survival, Evasion, Resistance, and Escape) instructor from the United States Air Force, JJ Johnson. Military pilots are required to take SERE training to increase their chances of survival if they find themselves behind enemy lines. Most preppers see bugging out into the wilderness as a similar parallel during a SHTF event. JJ will be sharing with us a few of the realities of bugging out in the wilderness, long term survival skills, and what to expect that most preppers fail to consider with their bugout plan. 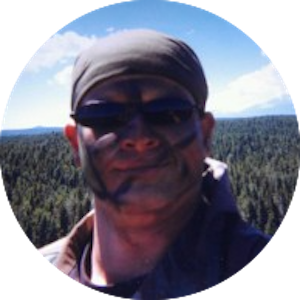 JJ’s experience as a survival instructor for the USAF and his love for the outdoors brought about his educational resource RealitySurvival.com, where he shares videos, articles, books and more to help preppers like you and me understand what it will take to endure the first 72 hours on the land. Also, don’t miss out on the Pint-Sized Prepper Project of the week where we demonstrate how to mark a trail so you can either be found, or find your way back! Listen to “SERE Survival Skills” on Spreaker. Listen to “SERE Survival Skills!” on Spreaker.